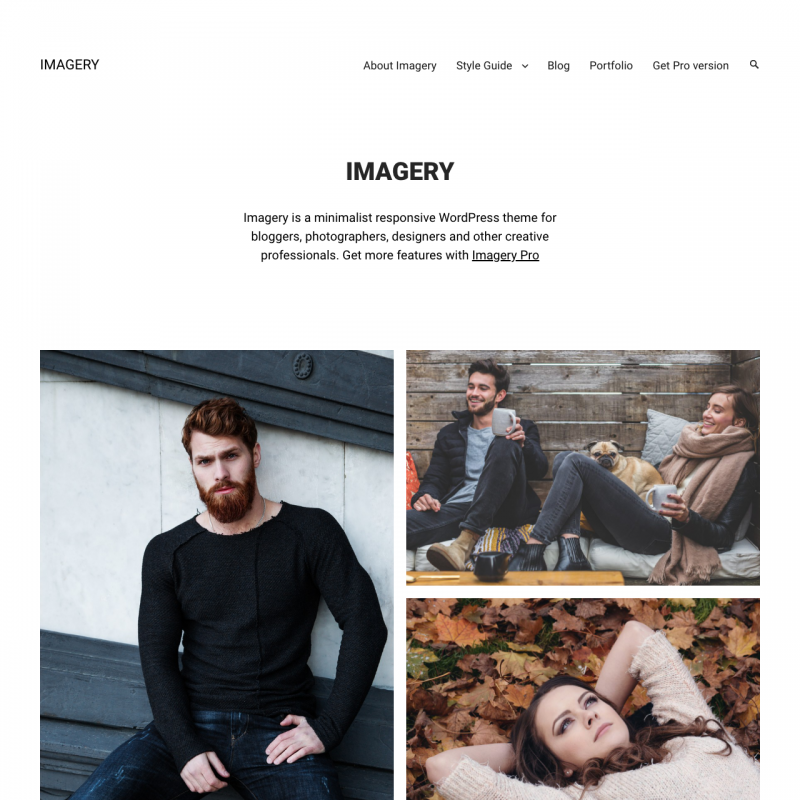 Now you can add trendy fullwidth images and galleries, images that are slightly wider than the main text, insert beautiful quotes with a background, publish text in two columns and much more. 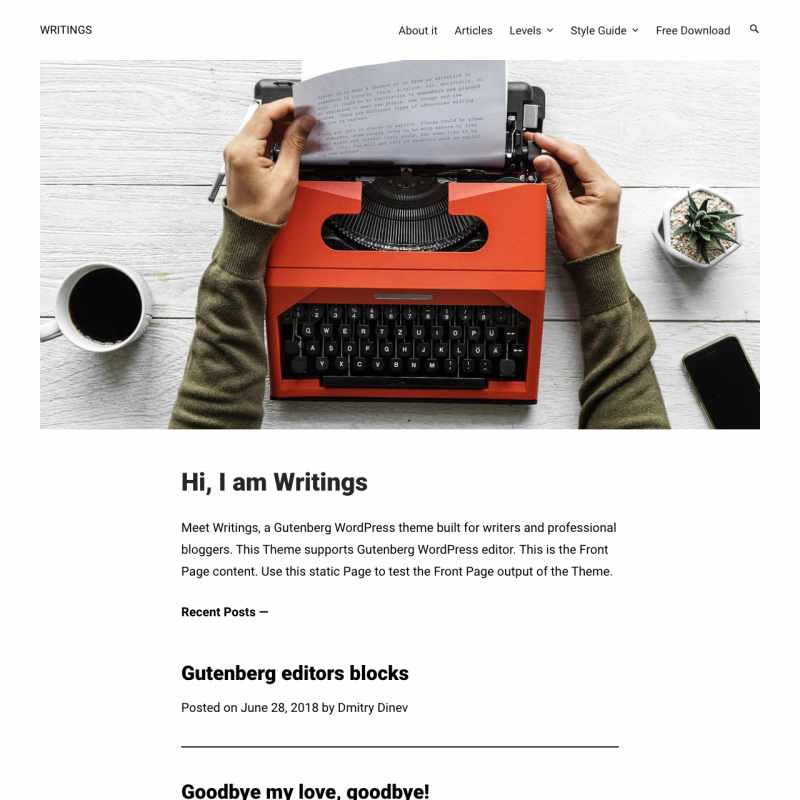 Gutenberg is about to be integrated into the WordPress core, but for now it is being extensively tested and developed, and is available as a plugin. 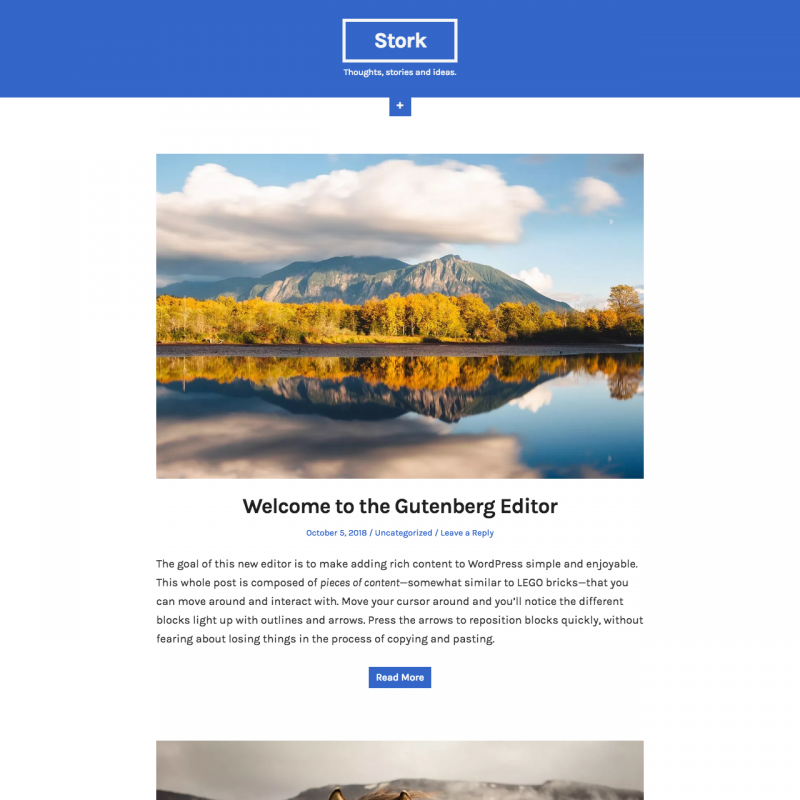 Even before the official launch, almost every day new Gutenberg themes are released. This collection will be updated with new themes until the end of 2018. 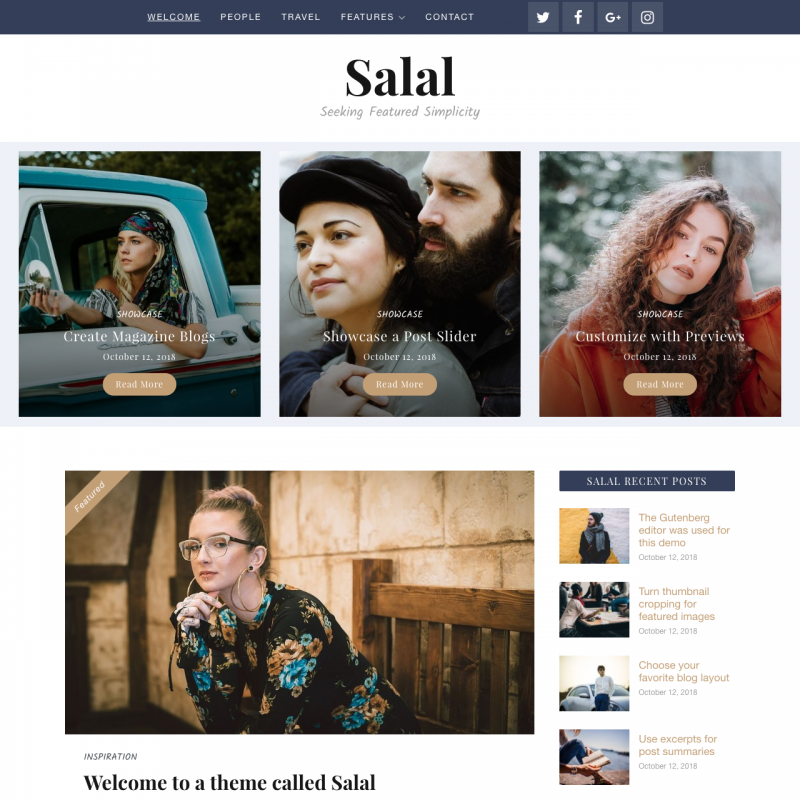 Salal is a simple nice magazine theme with Gutenberg support. 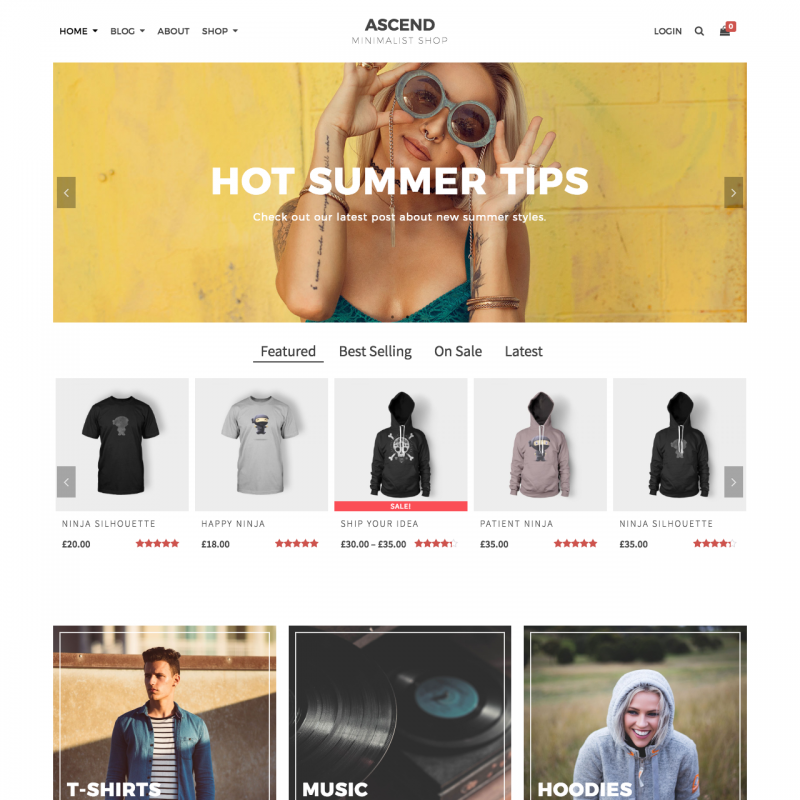 The theme provides the slider, page templates and the option to download custom backgrounds for pages. 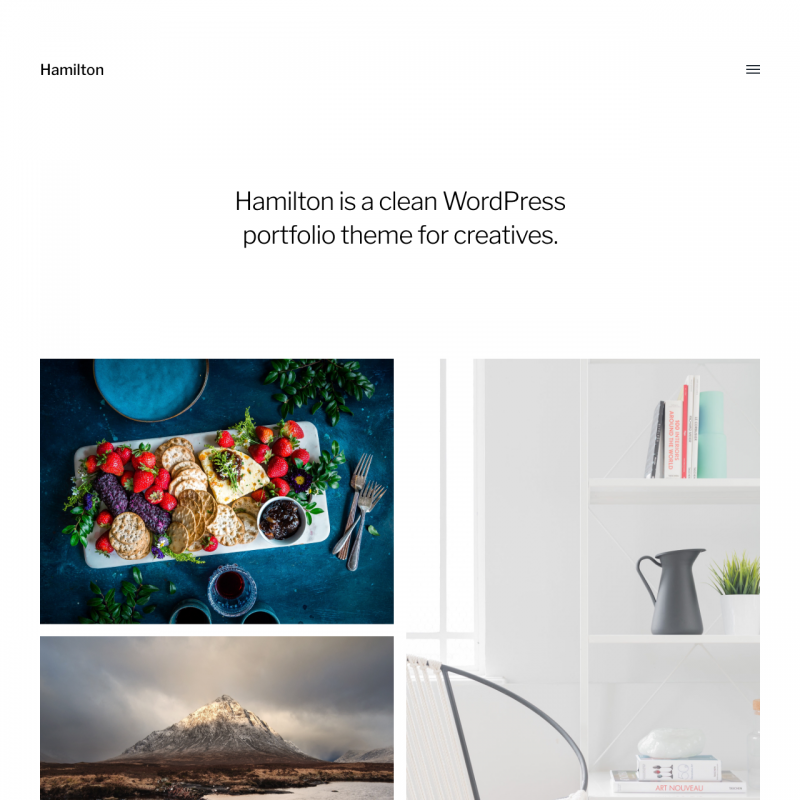 Hamilton is a clean Gutenberg-ready WordPress portfolio theme. 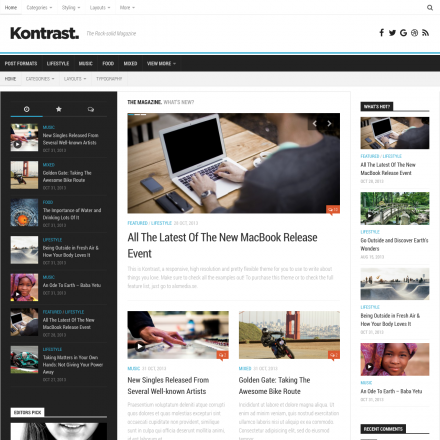 The theme is compatible with JetPack Infinite scroll. You can choose dark color scheme and change the background color. 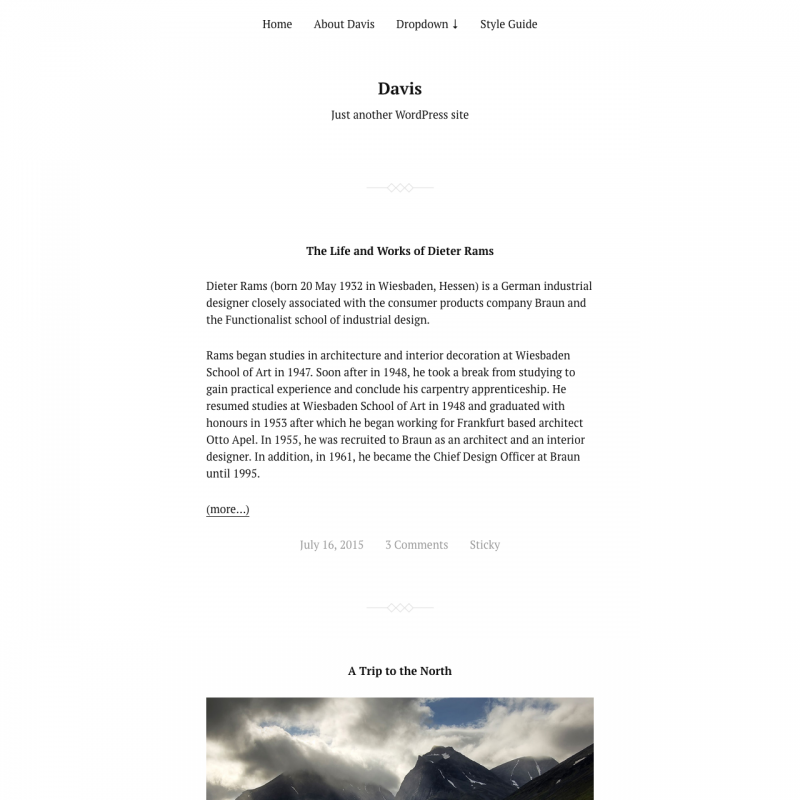 The theme provides Resume page template, related posts section, and other features. 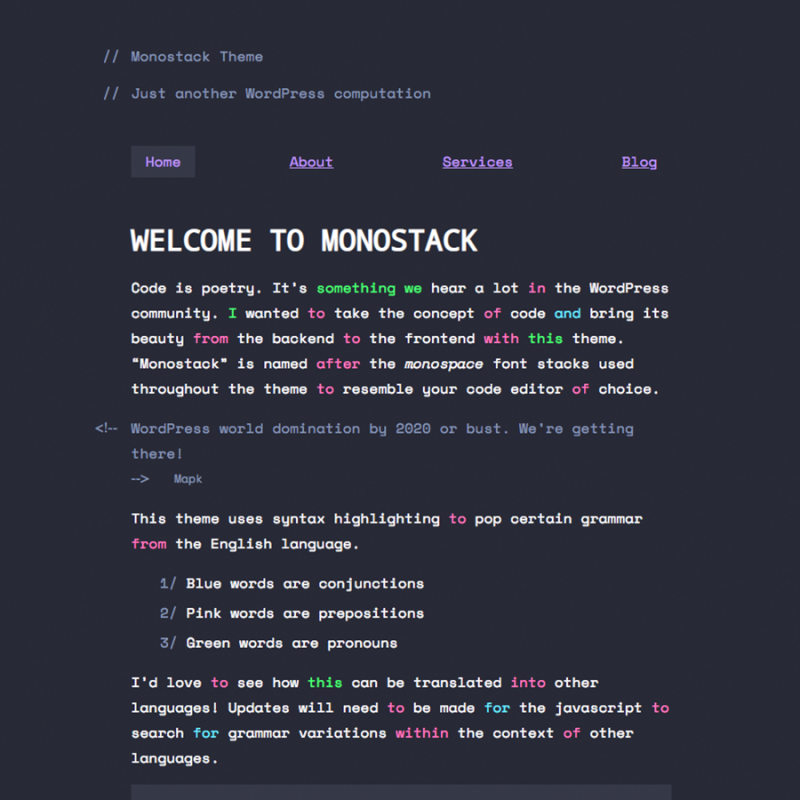 Monostack is a theme that is perfect for web developer and programmer blogs. 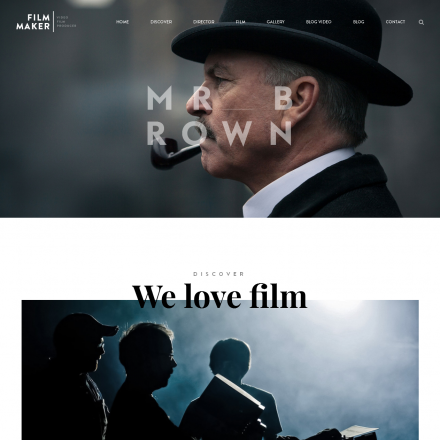 The theme is Gutenberg-ready and focuses on typography and color. Unusual feature – the theme highlights certain grammar from the English language like syntax highlighting does in code editors. 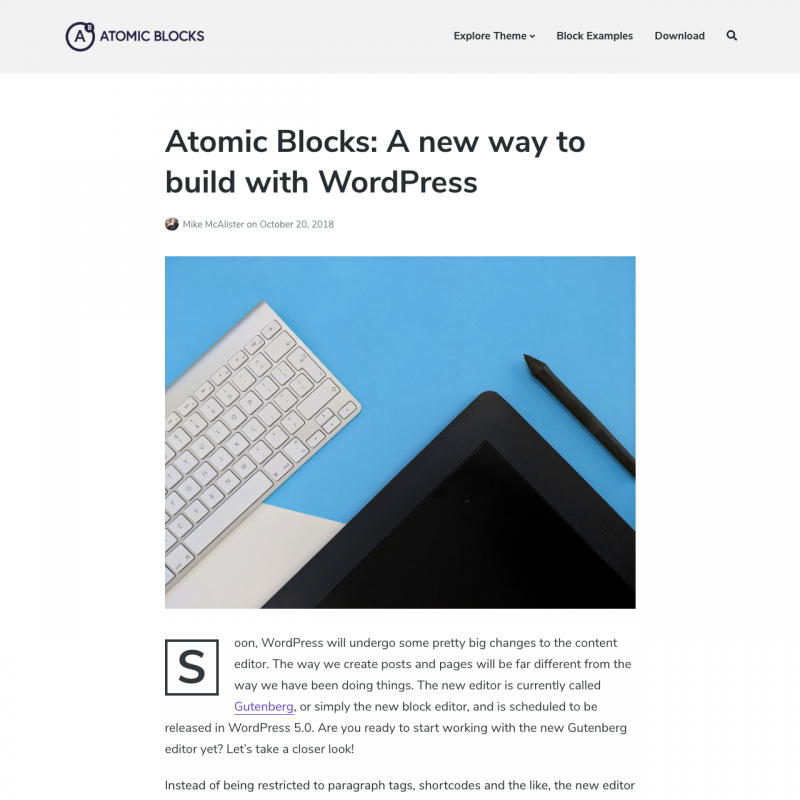 Atomic Blocks is a simple and powerful WordPress theme with good typography. 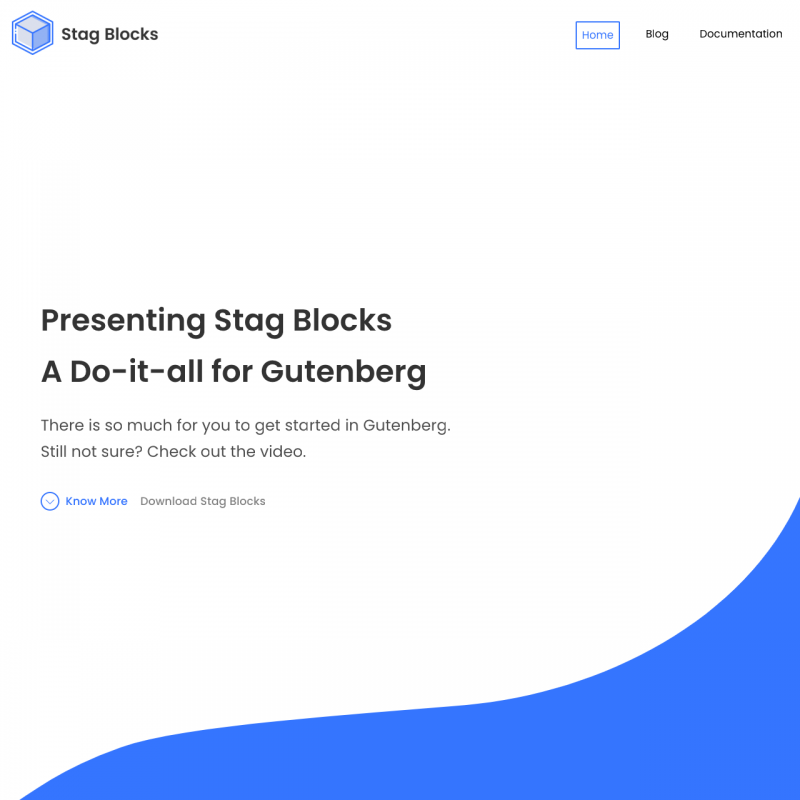 Compatible with Gutenberg editor and provides some custom blocks. You can install Atomic Blocks plugin to add more elements to your pages, for example, testimonials, notices, calls to action, buttons. You can customize the font size for body and titles, set the content width and more. 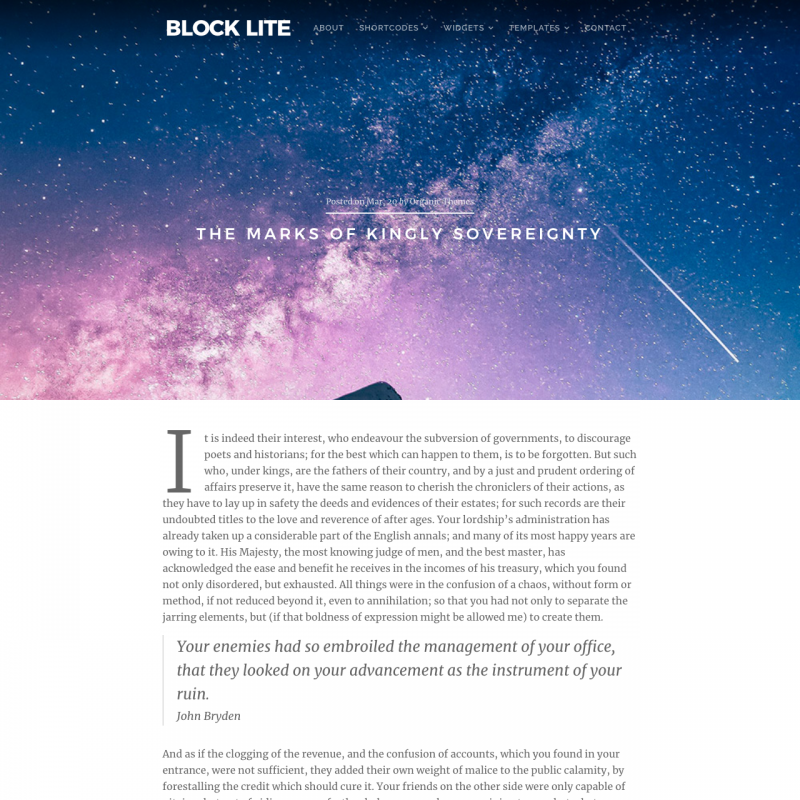 Block Lite is a beautiful theme with tiled blocks, hero headers and Gutenberg support. 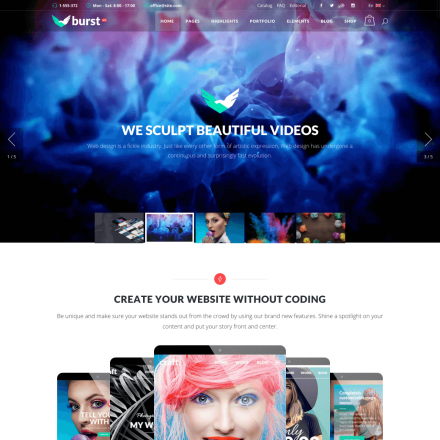 The theme is compatible with SiteOrigin Page Builder. You can use widgets to create team and profile sections, pricing tables, slider, testimonials, and many others. 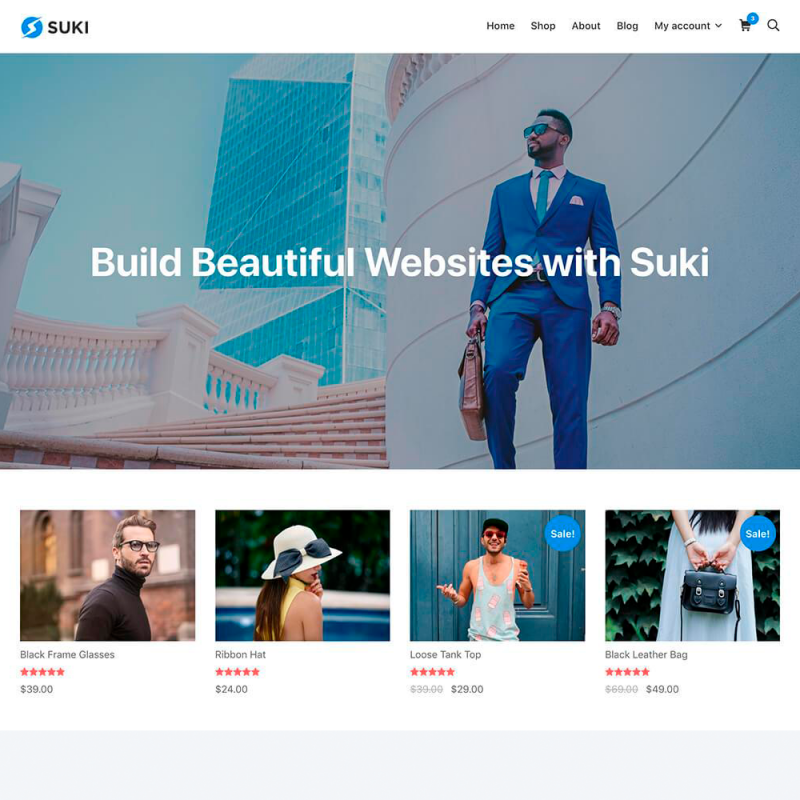 Suki is a multipurpose, lightweight, clean WordPress theme suitable for blogs, business sites, portfolios and even WooCommerce online stores. 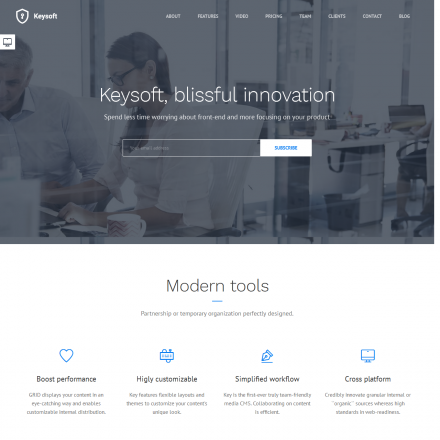 The theme is compatible with Gutenberg, Elementor and other Page Builders. You can customize the lower and upper parts of the site, the width of the site, select the location of the blocks, change the colors and fine-tune the typography. 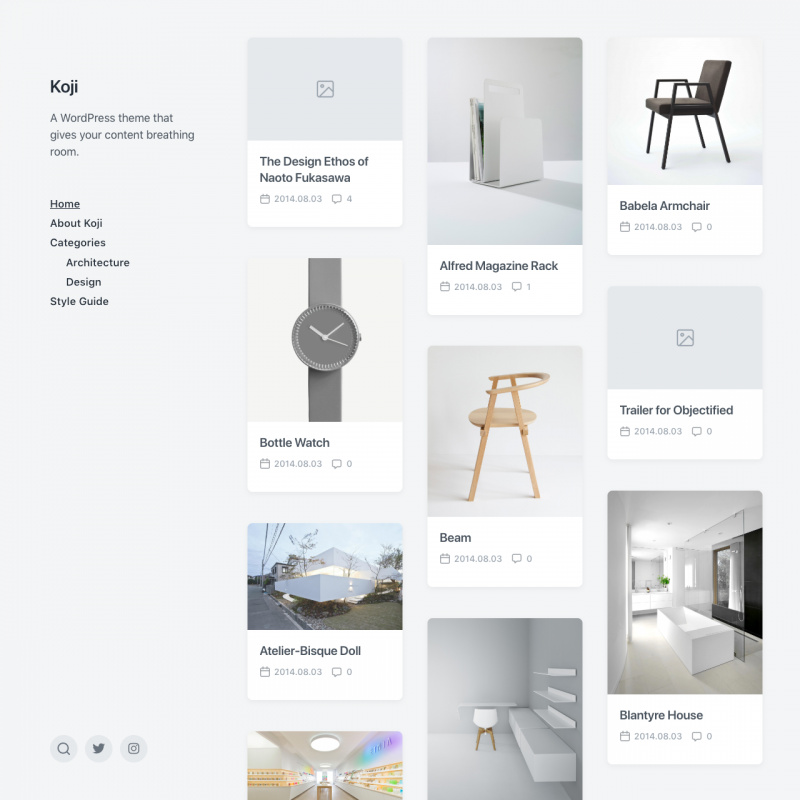 Koji is a simple theme for bloggers with Gutenberg support, Masonry layout and minimal design. You can set an Infinite Scroll when user reaches the end of the page or by clicking on the button, choose which post meta to display on archives and on signle posts. You can add links to social networks, upload your logo and much more. 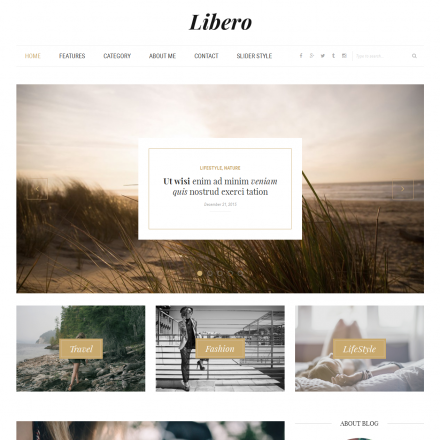 A versatile, highly customizable theme with full Gutenberg support. Several header types are available, including vertical header and fixed header. 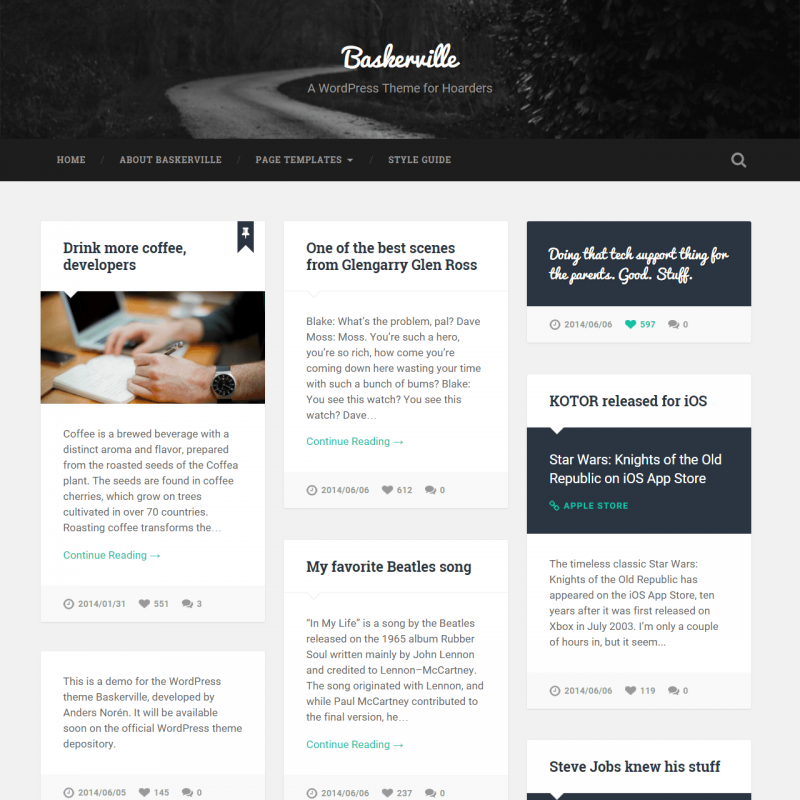 Baskerville theme is created for magazine websites and blogs. 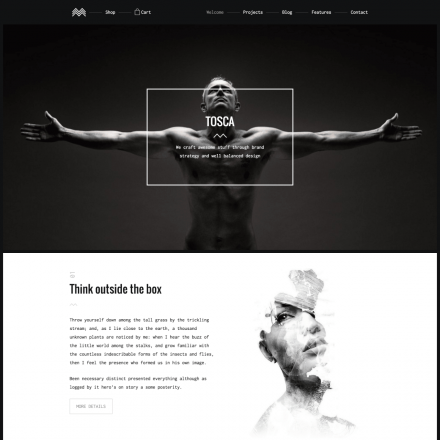 The theme supports different post formats, including videos, images and galleries. 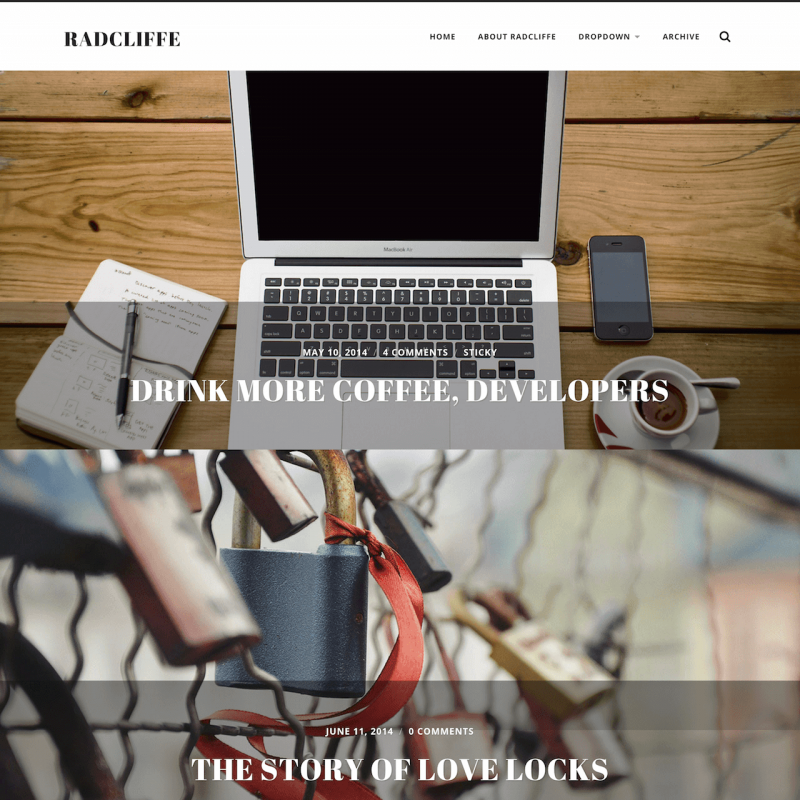 You can add a full-width header image, custom logo and use three custom widgets (Video, Flickr and Dribbble). 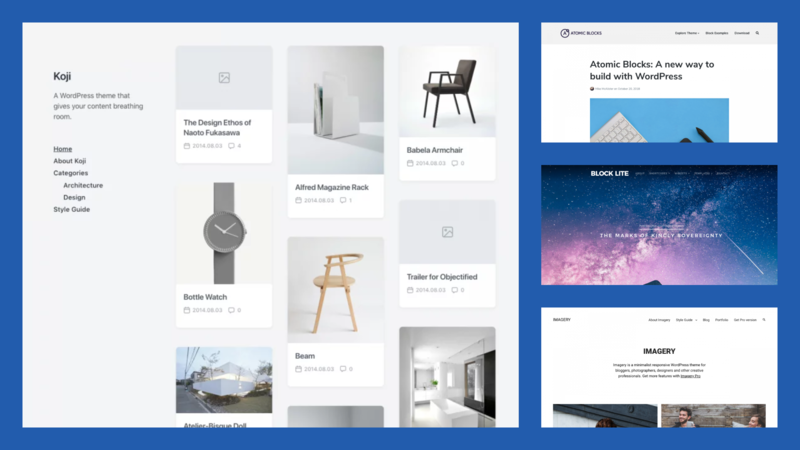 The theme provides four page templates (including a contributors template) and allows you to implement Likes functionality via the ZillaLikes plugin. 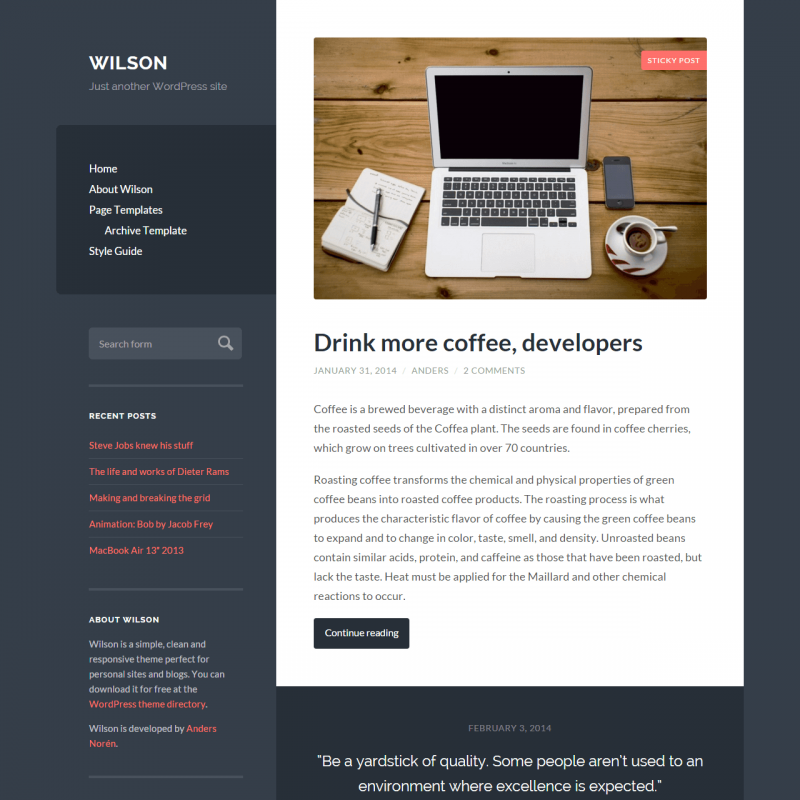 Wilson is a simple WordPress theme created for any kind of bloggers. You can easily change the accent color, add your custom logo or use the theme’s custom widgets (Video, Flickr and Dribbble). 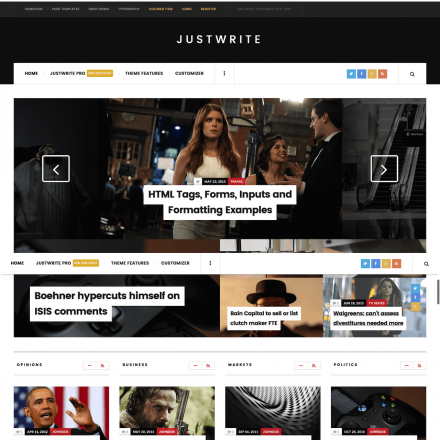 Wilson theme provides archive page template and four post formats: standard with a featured image above the post, video, aside and quote. Radcliffe is created to present the text and visual content effectively. 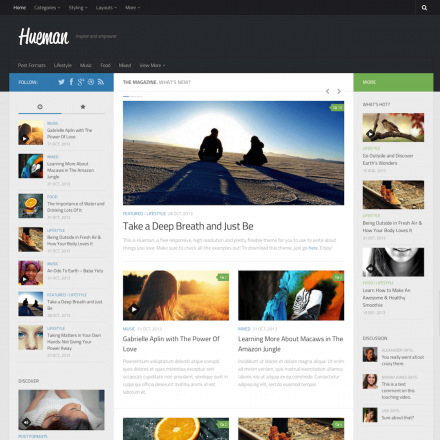 The theme features responsive design and readable typography. 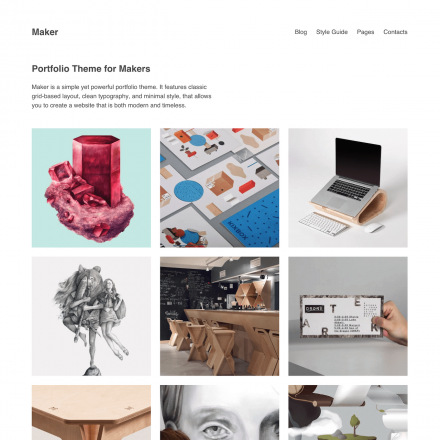 You can add full width header images, upload your custom logo, and change the accent color. 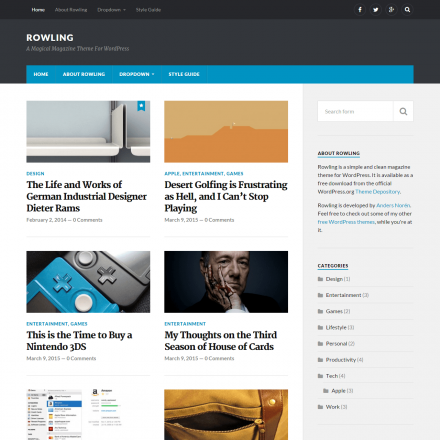 Radcliffe theme allows you to place widgets in three footer widget areas.